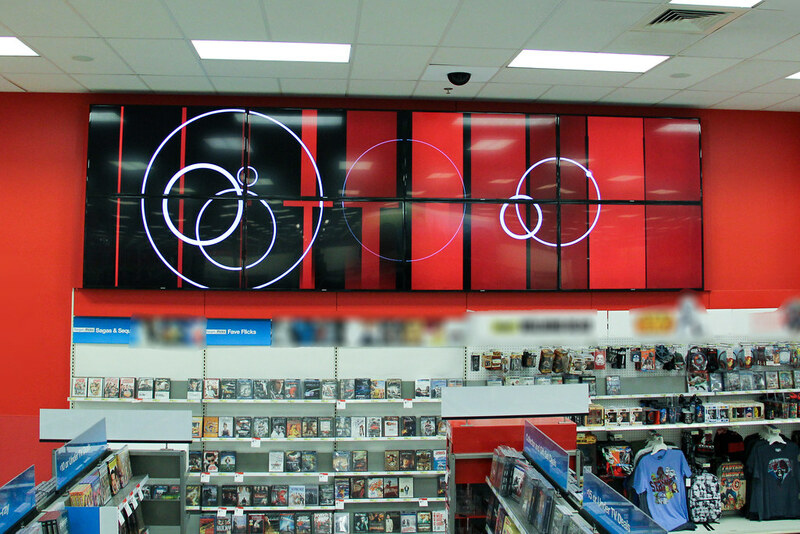 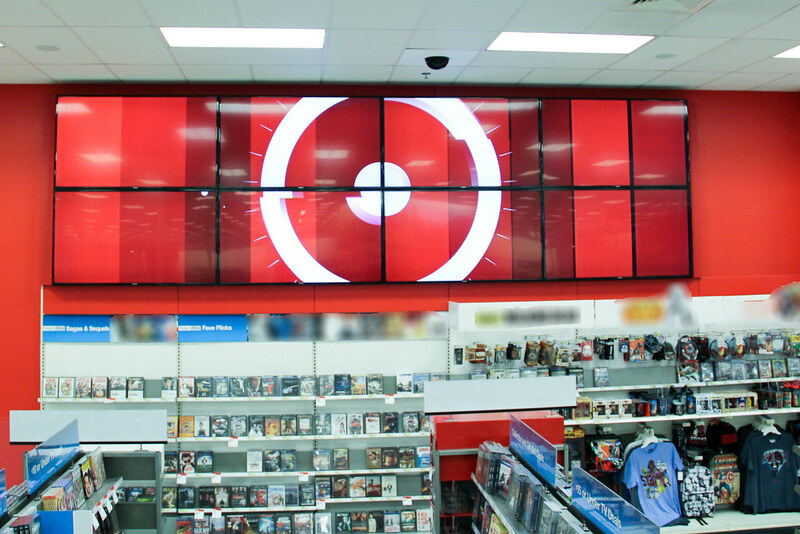 Tierney helped Target accomplish this goal by providing Samsung video wall systems consisting of 8 monitors (2 high by 4 wide) in hundreds of stores across the United States. 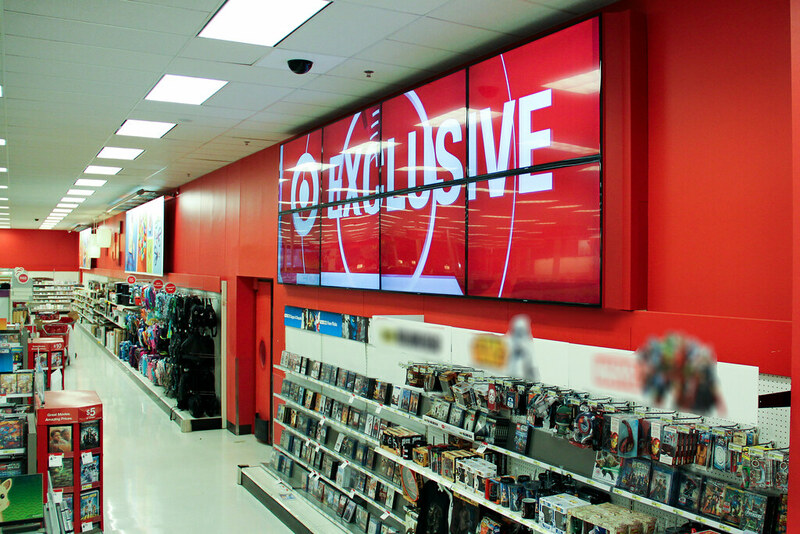 The monitors were mounted from the ceiling or wall depending on the store layout using a series of flat panel mounting brackets designed for video wall use. 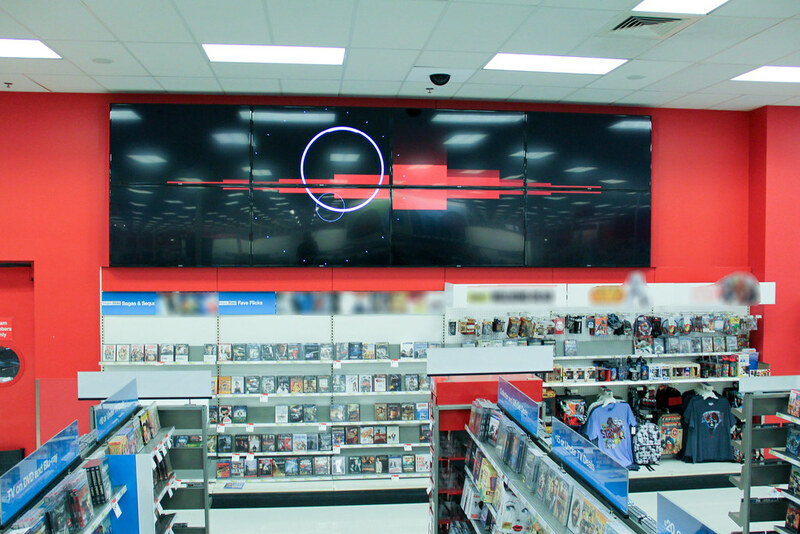 In addition to the video wall, these projects each included six JBL in-ceiling speakers. 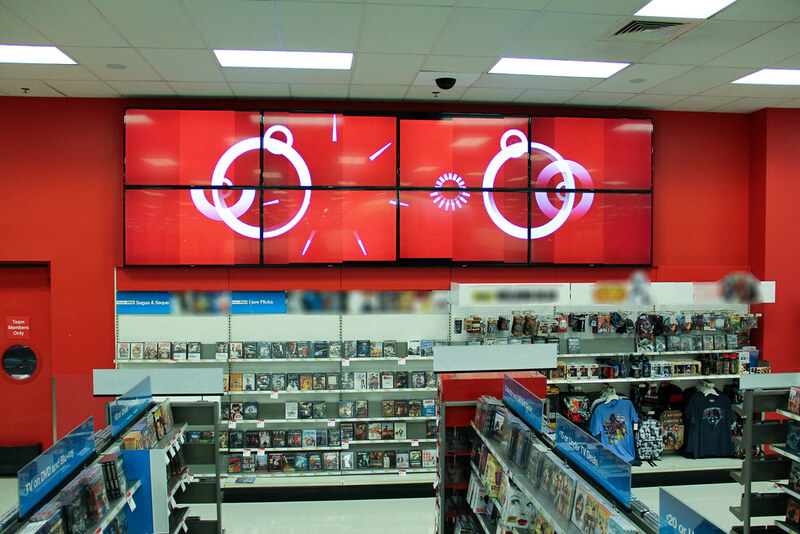 Due to the nature of the retail stores, these installations were each performed overnight, from start to finish in one night per store. 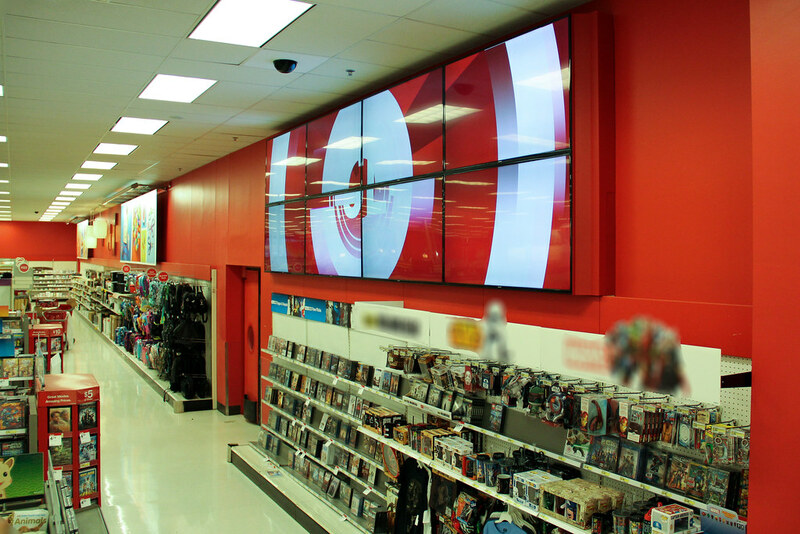 Tierney's White Glove Service was provided to Target through delivery service for the equipment, a driveable lift, and trash removal coordination to deliver at the time of install.